In electrical plants the loads draw from the network electric power (active) as power supply source (e.g. personal computers, printers, diagnostic equipment, etc.) or convert it into another form of energy (e.g. electrical lamps or stoves) or into mechanical output (e.g. electrical motors). To get this, it is often necessary that the load exchanges with the network (with net null consumption) the reactive energy, mainly of inductive type. This energy, even if not immediately converted into other forms, contributes to increase the total power flowing through in the electrical network, from the generators, all along the conductors, to the users. To smooth such negative effect, the power factor correction of the electrical plants is carried out. 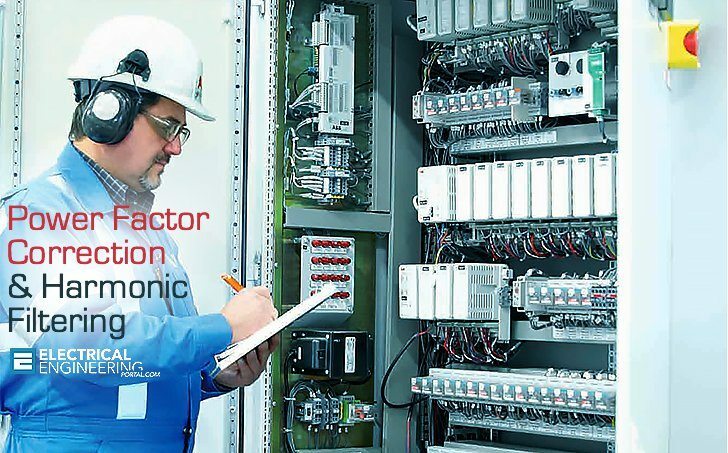 The power factor correction obtained by using capacitor banks to generate locally the reactive energy necessary for the transfer of electrical useful power, allows a better and more rational technical-economical management of the plants. 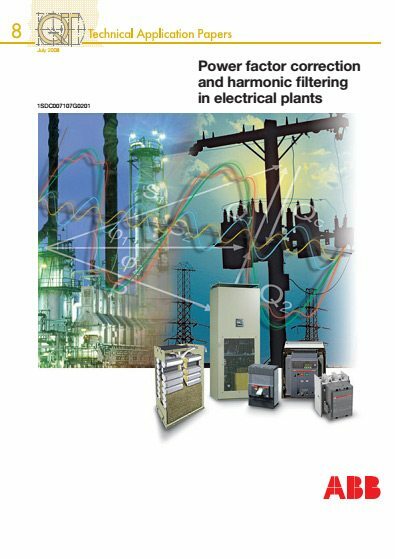 Moreover, the present spreading of direct current users, such as electronic circuits and electric drives, involve the generation of current harmonics which are injected into the network, with the consequent pollution and distortion of the waveforms on other connected loads. Therefore, the use of harmonic filters, both of passive as well as of active type, contributes to improve the overall powerquality of the network, carrying out also power factor correction at the network frequency, when such filters are properly sized. The reactive component IQ, in quadrature to the voltage, is used to generate the flow necessary for the conversion of powers through the electric or magnetic field and it is index of the transfer of energy between supply and load. Without this, there could be no net transfer of power, for example, thanks to the magnetic coupling in the core of a transformer or in the air gap of a motor. In the most common case, in the presence of ohmicinductive type loads, the total current I lags with respect to the active component IR.